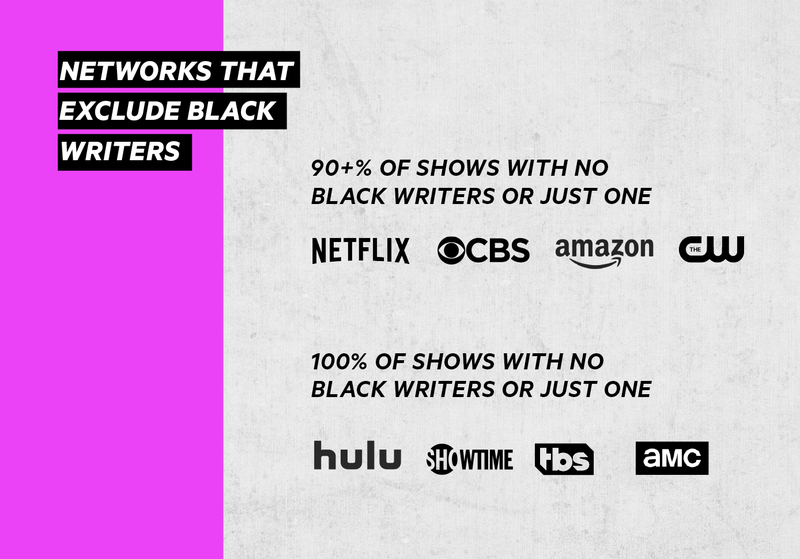 The report demonstrates that the executives running television platforms today—both traditional networks and emerging streaming sites—are not hiring Black showrunners, which results in excluding or isolating Black writers in writers' rooms and in the creative process. 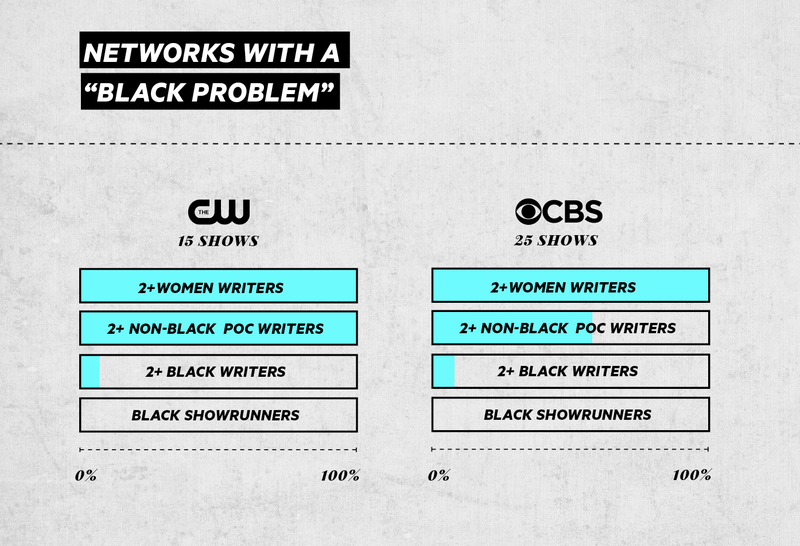 Over 90% of showrunners are white, two-thirds of shows had no Black writers at all, and another 17% of shows had just one Black writer. 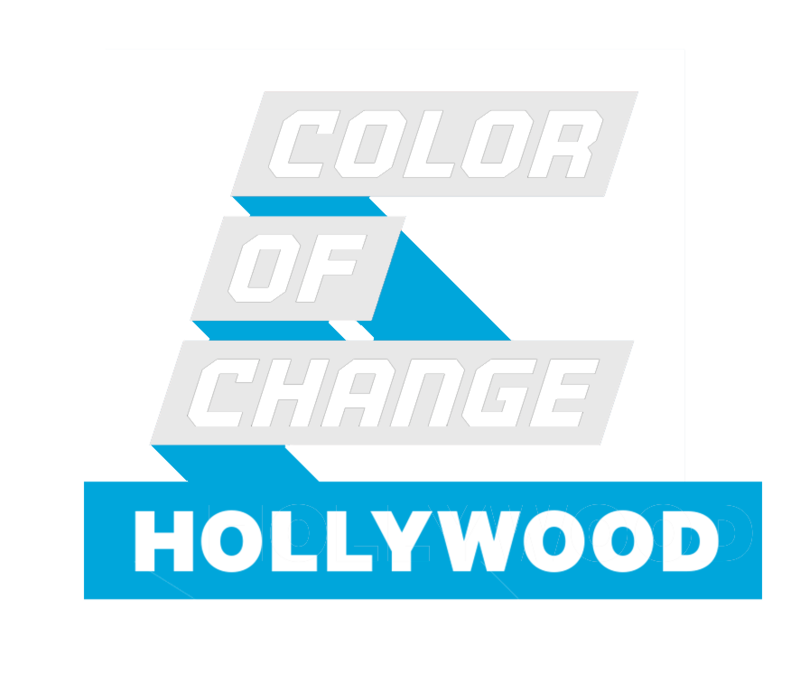 The ultimate result of this exclusion is the widespread reliance on Black stereotypes to drive Black character portrayals, where Black characters even exist at all—at best, “cardboard” characters, at worst, unfair, inaccurate and dehumanizing portrayals. 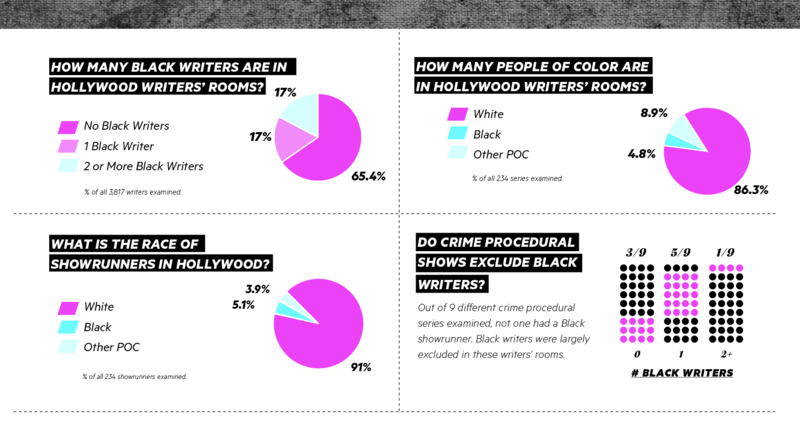 The report demonstrates that the executives running television platforms today—both traditional networks and emerging streaming sites—are not hiring Black showrunners, which results in excluding or isolating Black writers in writers' rooms and in the creative process. 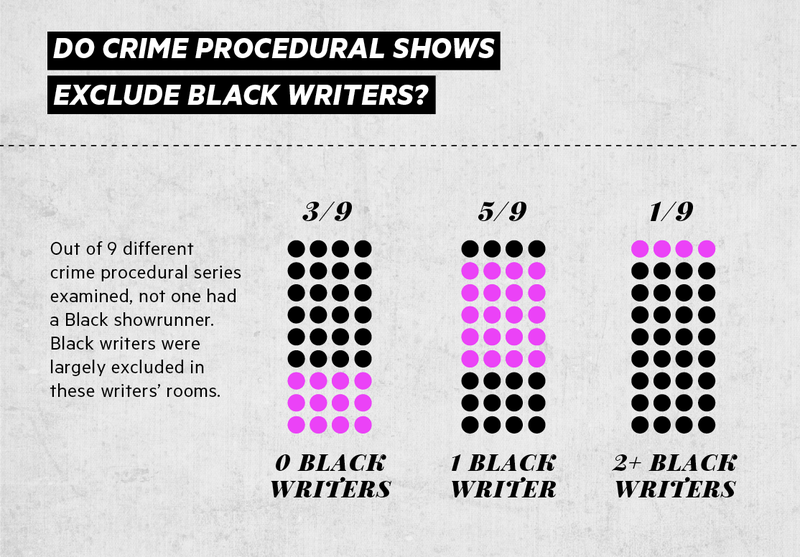 Over 90% of showrunners are white, two-thirds of shows had no Black writers at all, and another 17% of shows had just one Black writer. The ultimate result of this exclusion is the widespread reliance on Black stereotypes to drive Black character portrayals, where Black characters even exist at all—at best, “cardboard” characters, at worst, unfair, inaccurate and dehumanizing portrayals. 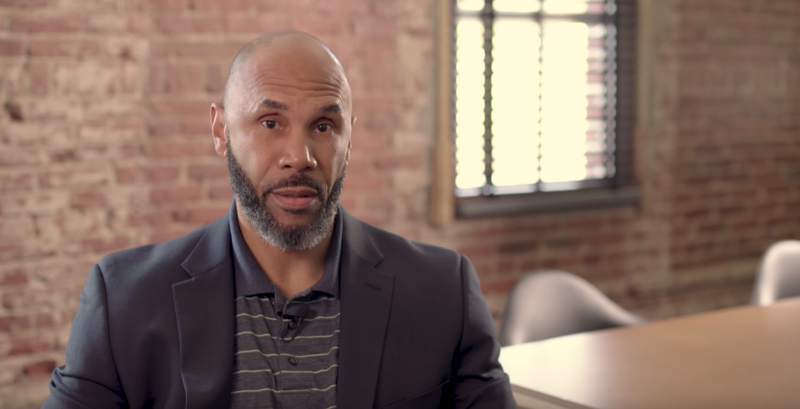 Many other studies have shown how dangerous inaccurate portrayals can be—resulting in warped perceptions about Black people and Black communities that perversely inform the decisions of doctors, teachers, voters, police, judges and more. 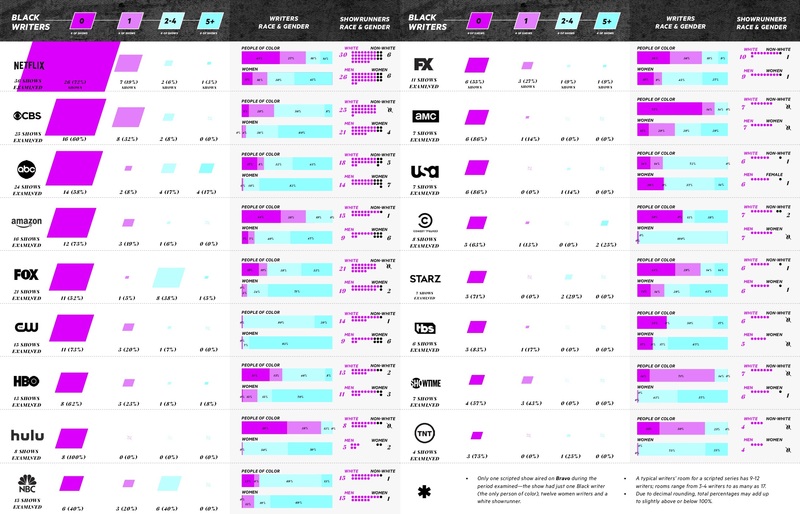 The report also highlights a pattern of excluding women and people of color in hiring showrunners and writers, and clearly suggests that current industry “diversity” programs are not working to either create success tracks for talented people of color in the industry, or create the range of authentic representations and stories on television that we need to sustain a healthy society.